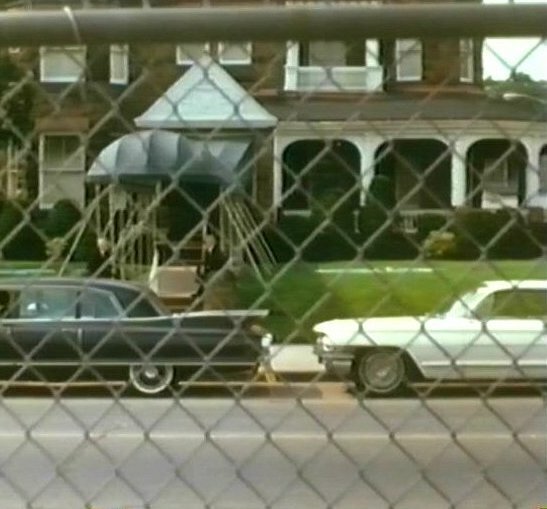 IMCDb.org: 1961 Cadillac in "Communion, 1976"
It's another 1961 Cadillac [100% sure because of the round parking lights under the front bumper]. Can't tell the model from this angle. 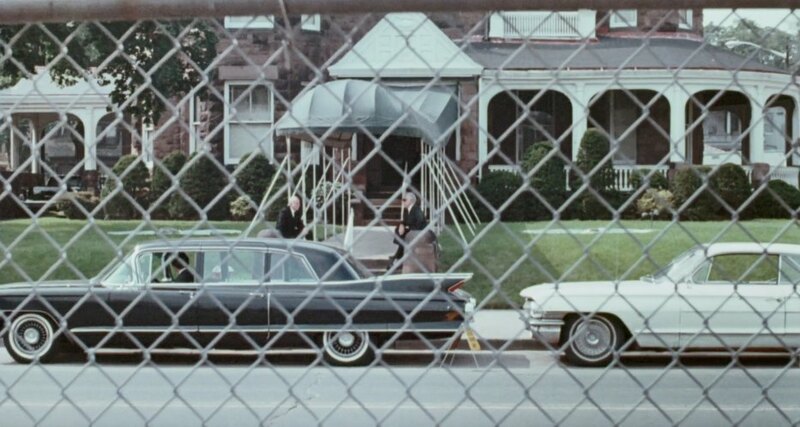 Ahead of the white car appears to be a 1962 Cadillac "Series 75" Fleetwood sedan or limousine.